Pierre Gelso based in Switzerland has created a new fanless mini PC which is enclosed in a wooden case offering a small form factor quiet PC powered by an Intel Quad-Core processor. 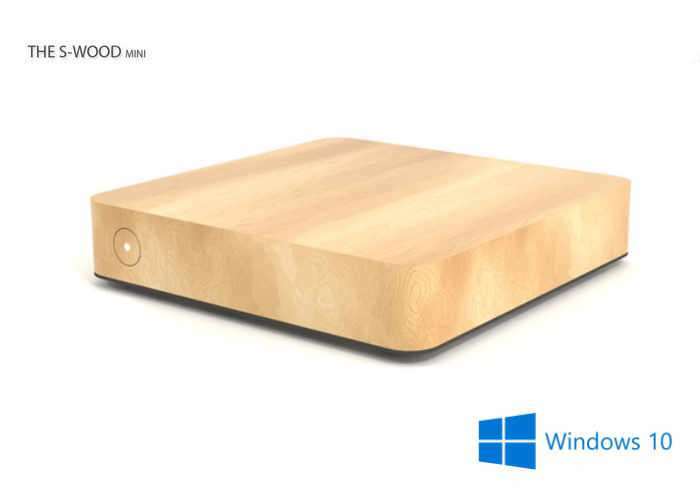 The new range of wooden PC systems are capable of running Microsoft’s latest Windows 10 operating system and come equipped with an internal solid state drive (SSD) offering 125 GB of storage together with connectivity via both wireless and Bluetooth 4.0 LE support. – A small computer designed for office work. For more information on the new S-WOOD Project jump over to the Kickstarter website for details by following the link below.